As a parent, you likely work hard to instruct your children on the value of keeping their teeth healthy and safe by brushing, flossing, and regular dental visits. However, no matter how healthy their teeth are, their smiles are still prone to sport-related injuries. According to the National Youth Sports Safety Foundation (NYSSF), more than three million teeth were knocked out in sporting activities last year – especially in baseball and basketball. Wow, that’s a lot of toothless grins! One of the main culprits for this staggering number is improperly protected teeth. While sporting events require athletes to wear protective gear such as helmets and shoulder pads, mouthguards are optional, putting many exposed smiles in danger. The NYSSF reported athletes who do not wear mouthguards are 60 times more likely to damage their teeth. Despite this high risk, many people take no measures to protect their smiles with mouthgaurds. Or, some do wear a mouthguard but have chosen an inadequate, store-bought brand, which could further harm their smile. Note: When it comes to keeping your teeth safe, not all mouthguards are created equal. Mouthguards available at sporting goods stores are typically sold as one-size-fits-all. It’s hoped that regardless of a child’s age, sport, and unique oral health condition, these standard boil-and-bite mouthguards will somehow fit them properly. If you’ve ever tried on a one-size-fits-all shirt or pair of gloves, you know all too well just how ill-fitting it can be…too small, too loose, and too uncomfortable. 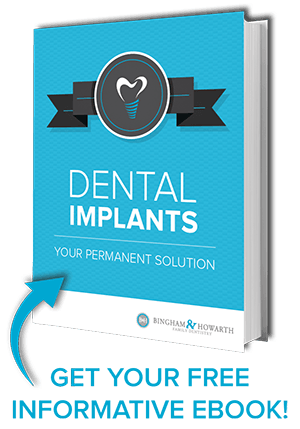 On the other hand, your dentist creates custom-fitted mouthguards, which are superior in nearly every way. Rather than store bought mouthguards that necessitate a clenched bite to keep it in place, customized mouthguards are made to fit your child’s mouth perfectly so they can focus on the game at hand. If it feels right, it is more likely to actually be used! 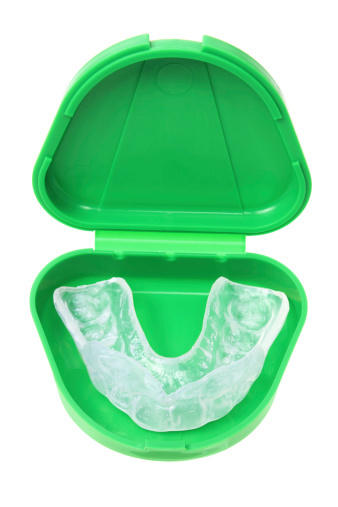 Dental custom-fitted mouthguards are comprised of materials much more durable than their sporting goods competitors. They play an essential role in protecting the mouth from potentially harmful blows, minimizing the risk of injury to the teeth, jaw bone, gums, and tongue. They even lend protection against concussions and neck injuries. That means not only do they fit more securely—they also last much longer, offering only the best protection for your child’s oral and physical health! Whether you’re a fan of high-impact sports or a non-competitive game among friends, specialized sports mouthguards are the superior choice for adults. Remember, you’re a unique individual and that includes your teeth. Book your appointment with your Tulsa dentist a custom-fitted sports mouthguard today. We’re happy to do our part to help you enjoy your sports activities while keeping your smile safe along the way.